DREW CO-FOUNDED HILLTOP PRIVATE CAPITAL AFTER 6 YEARS AT GENNX360 CAPITAL PARTNERS, AN OPERATIONALLY FOCUSED MIDDLE MARKET PRIVATE EQUITY FIRM WHERE HE WAS A MANAGING PARTNER, SAT ON THE INVESTMENT AND MANAGEMENT COMMITTEES, CHAIRED THE VALUATION COMMITTEE AND FOR A TIME WAS THE FIRMS CHIEF COMPLIANCE OFFICER. HE ALSO WAS INSTRUMENTAL IN DEVELOPING THE FIRM'S CHEMICALS AND OIL AND GAS INDUSTRY INVESTMENT EFFORTS BUT IS VERY MUCH A GENERALIST. DREW BRINGS MORE THAN 20 YEARS OF MIDDLE MARKET INVESTMENT, ADVISORY AND MANAGEMENT EXPERIENCE TO HILLTOP COVERING APPROXIMATELY 40 TRANSACTIONS AND OVER $2.0 BILLION IN TRANSACTION VALUE. PRIOR TO GENNX360, DREW WAS AT ALLIED CAPITAL CORPORATION, WHERE HE WAS RESPONSIBLE FOR SOURCING, STRUCTURING, AND OVERSEEING EQUITY AND DEBT INVESTMENTS ON BEHALF OF ALLIED'S MULTI-BILLION DOLLAR INVESTMENT PORTFOLIO. HE ALSO WORKED AT LINCOLNSHIRE MANAGEMENT AND THE INVERNESS GROUP AND AS AN M&A ADVISOR AT MERRILL LYNCH AND AT BEAR STEARNS. DREW HAS SUCCESSFULLY INVESTED EQUITY CAPITAL IN A DIVERSE GROUP OF MIDDLE MARKET BUSINESSES INCLUDING ONE OF THE NATION'S LARGEST WINDOW MANUFACTURERS, A PROMINENT PROTECTIVE EQUIPMENT MANUFACTURER, SEVERAL LARGE OILFIELD SERVICES COMPANIES, A CHEMICAL MANUFACTURER AND NICHE BUSINESS SERVICES PROVIDER. DREW EARNED HIS BA IN HISTORY AS WELL AS LAW DEGREE FROM GEORGETOWN UNIVERSITY. 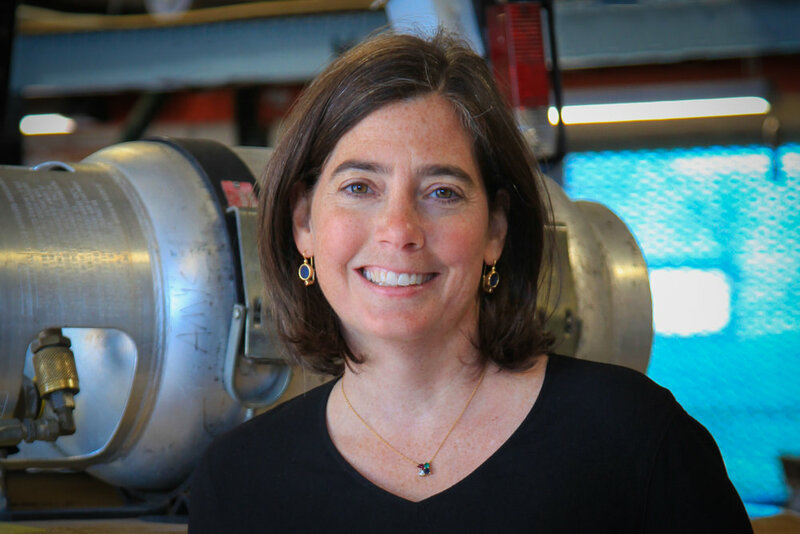 KATE CO-FOUNDED HILLTOP PRIVATE CAPITAL AFTER 15 YEARS AT LINCOLNSHIRE MANAGEMENT, A $1.7 B PRIVATE EQUITY FIRM FOCUSED ON INVESTING IN AND GROWING MIDDLE MARKET COMPANIES. AT LINCOLNSHIRE, SHE WAS A MANAGING DIRECTOR, LED ONE OF THE EXECUTION AND PORTFOLIO MANAGEMENT TEAMS AND WAS A PARTICIPANT ON THE INVESTMENT COMMITTEE. KATE PRESENTLY SERVES AS AN INDEPENDENT BOARD MEMBER OF NAVIENT (NASDAQ:NAVI), A LOAN MANAGEMENT, SERVICING AND ASSET RECOVERY COMPANY CREATED FROM THE STRATEGIC SEPARATION OF SALLIE MAE AND STELLA-JONES INC. (TSX: SJ), A LEADING PRODUCER AND MARKETER OF PRESSURE TREATED WOOD PRODUCTS. SHE PREVIOUSLY SERVED AS AN ACTIVE BOARD MEMBER FOR AND PRINCIPAL EQUITY INVESTOR IN NUMEROUS COMPANIES IN THE INDUSTRIAL, CONSUMER AND BUSINESS SERVICES INDUSTRIES INCLUDING SEVERAL NICHE INDUSTRIAL MANUFACTURING COMPANIES, A LEADING EDUCATION AND SERVICES COMPANY, SEVERAL SPORTS EQUIPMENT MANUFACTURING BUSINESSES, AN EQUIPMENT AND CONSUMABLES COMPANY FOR FOOD APPLICATIONS, A FINANCIAL TECHNOLOGY AND SERVICES COMPANY AND A LEISURE SERVICES BUSINESS. PRIOR TO LINCOLNSHIRE, KATE WAS AT CONIFER CAPITAL GROUP, A NEWLY FORMED PRIVATE EQUITY FIRM FOCUSED ON THE LOWER MIDDLE MARKET. HER PREVIOUS EXPERIENCE INCLUDES WORKING IN THE INVESTMENT BANKING DIVISIONS OF PRICEWATERHOUSECOOPERS AND DONALDSON, LUFKIN & JENRETTE. KATE IS A GOVERNING BOARD MEMBER OF THE ROBERT TOIGO FOUNDATION, AN ORGANIZATION COMMITTED TO ENHANCING DIVERSITY IN THE FINANCIAL SERVICES INDUSTRY, AND IS A DIRECTOR OF NEW YORK PRIVATE EQUITY NETWORK (NYPEN). SHE IS A GRADUATE OF THE WHARTON SCHOOL AT THE UNIVERSITY OF PENNSYLVANIA (B.S.) AND OF COLUMBIA BUSINESS SCHOOL (M.B.A.). ED OPENED THE LOS ANGELES OFF OF HILLTOP IN 2017. HE FOCUSES ON TRANSACTION SOURCING AND EXECUTION IN THE WESTERN US. PREVIOUSLY, FOR TWELVE YEARS, ED WAS A MANAGING DIRECTOR AT LINCOLNSHIRE MANAGEMENT WHERE HE OPENED AND HEADED THE LOS ANGELES OFFICE. ED STARTED HIS CAREER WITH THE PRIVATE EQUITY GROUP OF BANKAMERICA, ONE OF THE COUNTRY’S OLDEST AND LARGEST PRIVATE EQUITY FIRMS AT THAT TIME. HE DEPARTED BANKAMERICA CAPITAL IN 1994 AS A SENIOR VICE PRESIDENT AND BECAME A FOUNDING MANAGING PARTNER OF KLINE HAWKES & CO., A SOUTHERN CALIFORNIA GROWTH EQUITY FIRM INVESTING $100 MILLION IN ITS FIRST FUND WITH A LEAD INVESTMENT FROM THE CALIFORNIA PUBLIC EMPLOYEES RETIREMENT SYSTEM. PRIOR TO ENTERING PRIVATE EQUITY, ED WAS AN EXECUTIVE WITH THE TIMES MIRROR CORPORATION SERVING AS ASSISTANT TO THE PRESIDENT OF THE CABLE TELEVISION DIVISION AND SUBSEQUENTLY HEADING BUSINESS DEVELOPMENT FOR THE ELECTRONIC INFORMATION SERVICES GROUP. HE HAS SERVED ON NUMEROUS BOARDS, HAS HELPED FOUND COMPANIES, AND HAS INVESTED IN A WIDE VARIETY OF MIDDLE MARKET COMPANIES ACROSS MULTIPLE INDUSTRIES. OTHER CURRENT BOARD AND ADVISORY POSITIONS ARE WITH DEL-VAL FOOD INGREDIENTS, SADURNI HOLDINGS INTERNATIONAL AND AGCAP PARTNERS. ED EARNED HIS BA FROM WILLIAMS COLLEGE AND AN MBA FROM THE YALE SCHOOL OF MANAGEMENT. NEIL IS MANAGING PARTNER OF NEIL A BURNS LLC, A CHEMICALS FOCUSED CONSULTANCY AND CEO OF P2 SCIENCE, A VENTURE BACKED RENEWABLE CHEMICAL START-UP. NEIL HAS 30 YEARS IN SPECIALTY CHEMCIALS WITH SENIOR MANAGEMENT EXPERIENCE IN OLEOCHEMICALS AND SURFACTANTS. HE WAS A SHAREHOLDER AND DIRECTOR OF PILOT CHEMICAL COMPANY AND PARTICIPATED IN THE MANAGEMENT BUYOUT OF THE COMPANY IN 2000. NEIL HAS SET UP AND LED THE US OPERATIONS OF VVF AN INDIAN OLEOCHEMICAL AND CONSUMER PRODUCTS COMPANY, AND OF OXITENO, A BRAZILIAN SURFACTANT COMPANY. HIS BOARD SEATS HAVE INCLUDED P2 SCIENCE, INC. SIVANCE LLC (A PE BACKED CARVE-OUT FROM CLARIANT), CEDAR CONCEPTS, CORP. AND PILOT CHEMICAL COMPANY. GARY IS THE FOUNDER OF ABC CONSULTING, AN OPERATIONALLY FOCUSED CONSULTANCY AND HAS EXTENSIVE OPERATING EXPERIENCE WITH A TRACK RECORD OF SUCCESS IN GLOBAL FORTUNE 100 COMPANIES. HIS SUCCESS AS ONE OF THE 12 LEADERS SELECTED TO DRIVE THE SIX SIGMA INITIATIVE IN GE RESULTED IN PROMOTIONS TO RUN BOTH THE $500M NORYLÂ AND $1.2B LEXANÂ RESIN BUSINESSES IN GE PLASTICS. CONSISTENT DELIVERY OF QUARTERLY OPERATING MARGINS THROUGH TOP LINE GROWTH AND RECORD PRODUCTIVITY LED TO PROMOTION AS VICE PRESIDENT GEP GLOBAL MANUFACTURING AND COMPANY OFFICER OF GE. 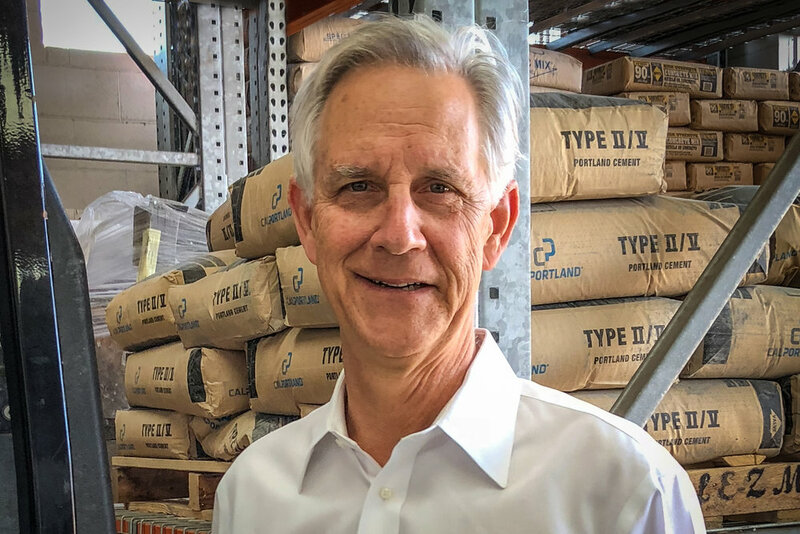 AS A MEMBER OF THE TYCO TURN AROUND LEADERSHIP TEAM, HE RESTRUCTURED THE $2.0B PLASTIC AND ADHESIVES BUSINESS AND PLAYED A KEY ROLE IN THE SUCCESSFUL MARKETING AND SALE OF T,P&A TO APOLLO HOLDINGS. AS PRESIDENT AND CEO, GARY ALSO LEAD THE STRATEGIC REDIRECTION OF CYCLICS CORPORATION INCREASING SALES BY 400%. DAVE HAS SPENT THE PAST 20 YEARS TURNING AROUND THREE DIFFERENT COMPANIES AS THE CEO AND, MOST RECENTLY CHAIRMAN. DAVE SPENT THE PAST 8 YEARS LEADING NATIONAL PEN, A PRIVATE EQUITY OWNED, GLOBAL DIRECT MARKETING FIRM. DURING THIS PERIOD, REVENUES NEARLY DOUBLED AND EBITDA GREW SIGNIFICANTLY CULMINATING IN A STRATEGIC SALE TO VISTA PRINT’S PARENT, CIMPRESS. PRIOR TO THIS, DAVE LED SAEPIO TECHNOLOGIES (SAAS ENTERPRISE MARKETING SOLUTION) FOR NEARLY 6 YEARS WITH REVENUES GROWING 5X AND EARNINGS EXPONENTIALLY. DAVE’S CORE FOCUS IS ON STRATEGIC PLANNING, EFFICIENT REVENUE GROWTH, AND DRIVING IMPROVEMENT TO THE BOTTOM LINE.